It's Halloween in Brooklyn. 4am to be exact. The Martinez Brothers are about to hop on the decks. 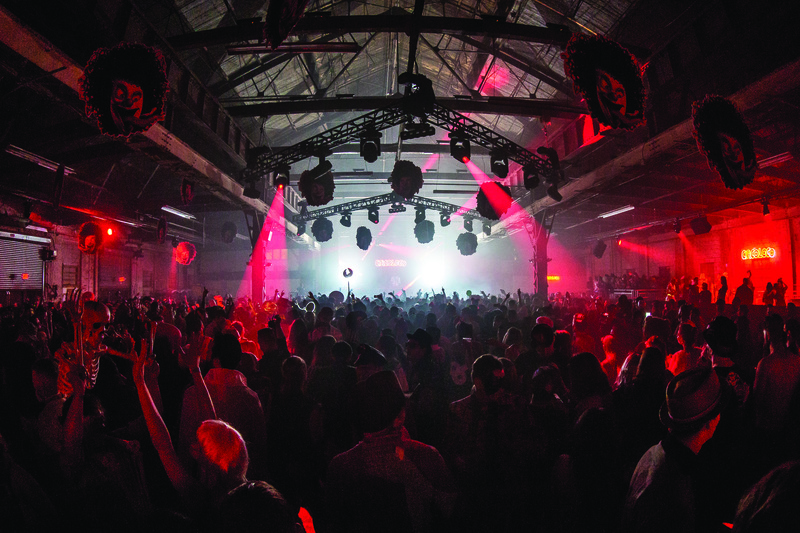 We find ourselves in a secluded warehouse on the outskirts of the borough for the world's most coveted underground party: Circoloco. 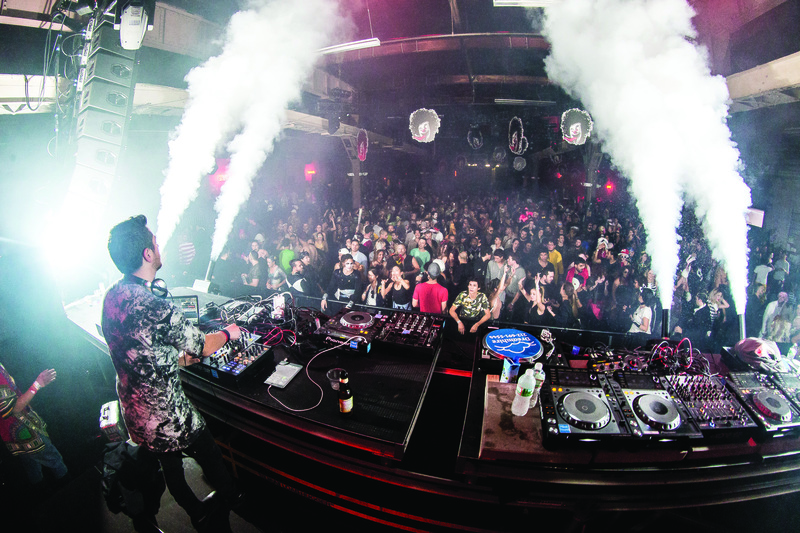 While the majority of the city's clubs have long been closed, Circoloco's first official New York party is just getting started, a true testament to Ibiza’s nonstop nightlife. The sold-out crowd below us is submerged in that unmistakable red hue radiating off the infamous Circoloco signs spread out across the room. Airplanes bank steeply towards JFK airport, evoking images of the DC10 garden. This secret, never-before-used warehouse is strangely reminiscent of the airplane hangar that houses DC10. To the left is a parking lot filled with the city’s garbage trucks. To the right is a storage depot with heaps of road salt. This is as underground as it gets. Having spent many a nights on the White Isle, it’s safe to say this is as close as it comes to being at the renowned Monday party. Having initially announced the party back in May, fans have waited a long time for this. The energy in the room is palpable. “We’ve been speaking about doing Circoloco in New York for four years now,” says Toma. As we chat with the brothers, is bringing down the house with his euphoric, uplifting house. The South African legend plays the soulful Laolu Remix (Edit) of ‘Too Much Information’ by Dele Sosimi Afrobeat Orchestra, which elicits a deafening roar of approval from the crowd. As for the rest of the line-up, also gracing the turntables tonight is Davide Squillace. 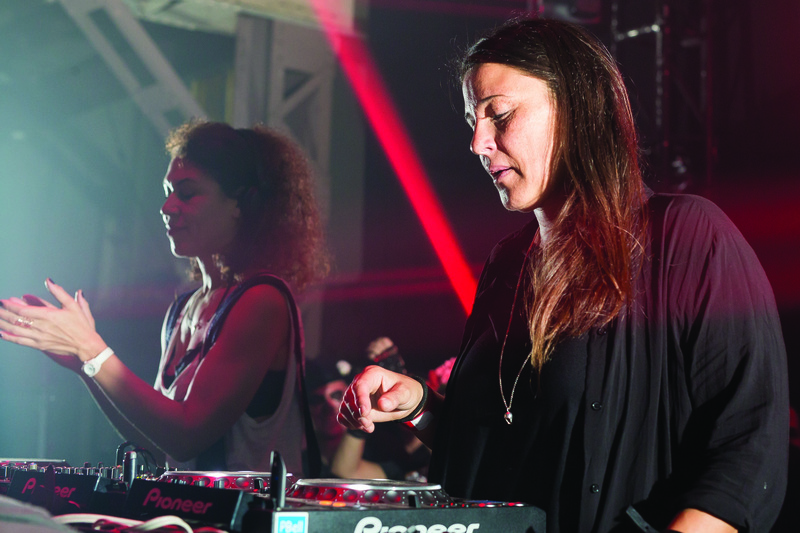 Circoloco residents Tania Vulcano, Cassy and Konstantin round off an already impressive bill. Looking out across the dancefloor, Chris comments on the recent revival of the Brooklyn warehouse scene. “It's very dope to be honest. Before there were a lot more club options for sure,” Chris says, “but the warehouse thing is poppin’ right now, you can see a lot of European influence in NYC today. It's a great blend. Loving it!” Arguably the top underground party in the world, the Circoloco name carries weight. And with an event last night in Los Angeles, and one now in New York, the question must be asked: Is Circoloco attempting to expand stateside to compete with the likes of Ultra, Tomorrowland and Awakenings? Only time will tell. Speaking about what comes to their mind when they think of Circoloco, the Martinez brothers answer candidly. “Legendary. Iconic. Family,” says Chris. “These guys started from the ground up,” adds Steve. Enough talk, already. Chris and Steve groove their way over to the turntables. For a full two hours, the brothers bring the energy, playing banger after banger. They naturally incorporate hip-hop, a cappella and Latin samples into their set, a nod to their Puerto Rican heritage and Bronx upbringing. Standout tunes from the evening include The Martinez Brothers edit of Heaven 19’s ‘Play To Win’ and Andrea Oliva’s 'Vermona' on the Martinez Brother’s label Cuttin' Headz. Still, it’s St Germain's ‘Rose Rouge’ that culminates a wonderful set. The brothers finish emphatically. Davide Squillace has closing duties. He shows no signs of slowing down hopping on the turntables at 6:30am. This one’s going late. “Ibiza is the epicenter of dance music, but when I think of Circoloco, what separates it from the rest is the simple fact that a lot of the bigger names in the underground community from Luciano to Loco Dice to Ricardo Villalobos to Marco Carola, that’s where they came from,” says Toma. Before we know it, it's 8:30am. Where did the time go? As rays of sunlight creep in through the warehouse windows, Squillace closes out an unforgettable night with Donna Summer’s timeless classic, ‘I Feel Love’.